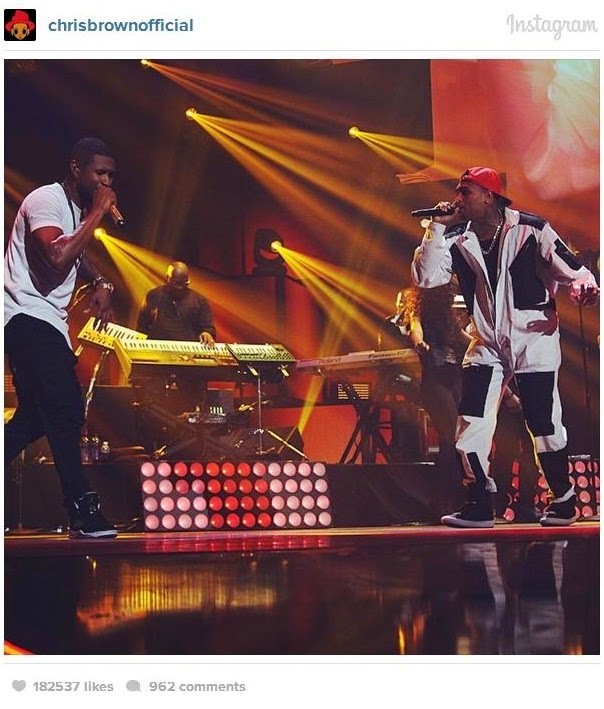 This weekend’s IHeartRadio Festival in Las Vegas brought together two talented R&B Crooners, Chris Brown & Usher. The 2-day festival featured performances by Usher, Nicki Minaj, Alicia Keys, Jason Derulo and Ariana Grande. However the performance between Chris and Usher was a fan favorite. After performing a few of his hits, Usher announced to the audience that he would be bringing Chris Brown on stage to perform their latest hit, New Flame. However no one was prepared for the epic mini dance-off the two had after. Fans have waited for years to see the two dance against each other. The dance off ended with Usher lighting his sneakers on fire. Yeah we know…just watch the video. In addition to Usher and Chris Brown, check out Nicki Minaj performing her latest hits.